By now, many Florida residents have heard or seen reports, announcements, and advertisements advising drivers of the dangers of texting while driving or driving while distracted. 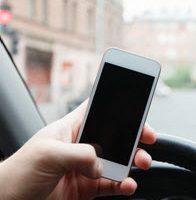 Despite the dangers of distracted driving being well-known, a shocking number of drivers in Florida and throughout the United States still choose to engage in such behaviors. While it is possible for those injured by a distracted motorist to recover compensation for their injuries, doing so is not always as easy as it might first appear. Witness statements and testimony: Eyewitnesses who observed the at-fault driver just before the crash or just after the crash can provide powerful testimony if, for example, the witness saw the driver with his head down and/or looking at his cellphone before the crash or emerge from the car with a cellphone in his or her hand. A witness’s testimony is only as persuasive as the witness’s ability to see the event clearly. Cellphone records: Your attorney may be able to subpoena and obtain the at-fault driver’s cellphone records if he or she acts quickly (some cellphone carriers delete records after a certain amount of time has passed). These records may be able to show whether the at-fault driver was on his or her phone at the time of the crash and/or if he or she was sending or receiving text messages. Crash data recorders: Most modern vehicles have a “crash data recorder” – a device that records important information about the car just before a collision. Amongst other information, these recorders may be able to show whether the at-fault driver applied his or her brakes and/or attempted an evasive maneuver in the few seconds before the crash. While the absence of brake application and/or the presence of extreme steering does not always indicate the driver is distracted, either can be strong circumstantial evidence. The sooner you retain experienced and knowledgeable legal counsel to represent you following a car crash, the quicker your attorney can determine the cause(s) of the crash, identify those who are at fault, and begin pursuing your claim for compensation on your behalf. At Roman & Roman, our firm is resourceful and knowledgeable about the various ways to prove the at-fault driver in your crash was distracted. By retaining our services quickly, we can go to work identifying important witnesses and preserving evidence necessary for your claim to prevail. Contact Roman & Roman by calling 877-767-1032 or by completing our firm’s online contact form to discuss your case with us right away.